Can you survive your destiny? Alone and imprisoned by the Ravinori, Geneva’s legendary power is tested as Malakai’s quest for supremacy threatens the people she loves. It’s do or die as she faces her overwhelming destiny head on. 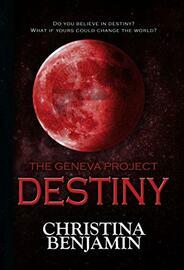 Despite the cost, Geneva will give everything she has to fulfill her mythical prophecy. She’s forged the strength and courage to face her fate, but can Geneva’s light surpass the darkness?